1. Offer. 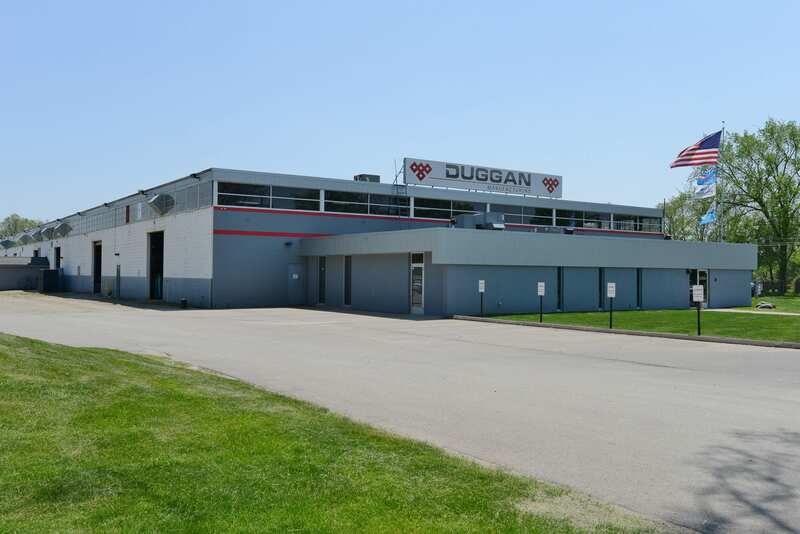 This constitutes Duggan Manufacturing’s (Seller) offer as Seller to Buyer and is not binding on Seller until accepted by Buyer, verbally or in writing. Seller may revoke the offer at any time prior to acceptance. At no time will the offer remain open longer than 14 calendar days after submission unless otherwise noted. 2. Acceptance. Buyer has read and understands this agreement and agrees that Buyer’s written or verbal acceptance of agreement constitutes Buyer’s acceptance of these terms and conditions only. All terms and conditions proposed by Buyer, which are different from or in addition to this agreement, are: unacceptable to Seller, are expressly rejected by Seller, and shall not become part of this agreement. Any modifications to this agreement shall be made in accordance with Paragraph 15. 3. Delivery. Delivery will be affected by the means specified in this agreement. If no means are specified, then Buyer is responsible for pick-up of the goods or arrangement for other delivery. Freight charges are as specified on this agreement. If no freight charges are specified, then terms are freight collect. 4. Title. Title to goods passes when delivery is tendered from Duggan Manufacturing’s facility in Shelby Twp., Michigan as F.O.B. point. Buyer assumes responsibility for all risk of loss once delivery is tendered from Shelby Twp., Michigan facility, and received at point of destination, irrespective of whether or not Seller’s vehicles or employees are used for shipment. 5. Payment. Payment must be tendered in U.S. Dollars. Payment terms are net 30 days (unless otherwise stated), at which point finance charges may accrue at a rate the greater of 1.5% per month (18% per annum) or the maximum rate allowable by law. Seller is entitled to reasonable costs, including but not limited to counsel fees and expenses, if suit for collection or performance is necessary. 6. Nonconforming Goods. Goods received by the Buyer under this agreement are subject to the Buyer’s right of inspection and rejection. Nonconforming goods must be returned to and received by Seller within 30 days of originally tendered delivery along with an explanation of the nonconformance. Lack of rejection of goods within the stated 30 days period is deemed acceptance of goods. Seller reserves the right to correct the goods, fully or partially credit any unpaid amounts, or refund the paid purchase price, at Seller’s option. Payment for corrected goods is due immediately upon receipt of corrected goods, but in no case shall payment be due in less than the standard net 20 days or otherwise agreed upon terms. 7. Force Majeure. Any delay or failure of Seller to perform its obligations hereunder shall be excused if, and to the extent that it is caused by any event of occurrence beyond the reasonable control of the Seller without its fault or negligence. Such event or occurrence may include but is not limited to acts of God, action by way of any government authority (whether valid or invalid), fires, floods, windstorms, explosions, riots, natural disasters, wars, sabotage, labor problems (including lockouts, strikes, and slowdowns), inability to obtain power, material, labor, equipment or transportation, or court injunction or order. Under no circumstances shall Seller be responsible for consequential and/or incidental damages of any kind or nature. 8. NO WARRANTIES. Seller makes no representation or warranty, express or implied, as to any matter whatsoever with respect to any product or service provided by Seller pursuant to this agreement including the condition of any product, the suitability, durability, merchantability or fitness for any particular purpose. Seller provides and Buyer accepts all such products ”As Is” with the full understanding that such products are prototypes only. In no event will Seller be liable to Buyer or any third party for any indirect, special, or consequential damages in connection with, or arising out of the existence or the furnishing, functioning, or the use of any product or service provided under this agreement. 9. Rights. Buyer represents that it has all legal rights (including intellectual property rights) and the full power of authority to (i) provide the specifications and other information it provides to Seller for purpose of Seller’s duties to be performed under this agreement and (ii) to authorize Seller to perform its duties under this agreement, and that no such performance in accordance with Buyer’s instructions and specifications will violate the rights of any third parties. Buyer agrees to defend, indemnify, and hold harmless Seller from and against any claims, damages, losses, costs, and expenses including reasonable attorney fees, arising out of any action by a third party that is based upon a claim that the work performed or delivered under this document infringes or otherwise violates the intellectual property rights of any person or entity. 10. Remedies. The rights and remedies herein reserved to Seller are cumulative and in addition to any other or further rights and remedies available at law or in equity. 11. Indemnification. Buyer shall defend and hold harmless Seller, its directors, officers, employees, agents and subsidiaries from and against any losses, claims, damages, judgments, liabilities, and expenses (including reasonable counsel fees and expenses) resulting from Buyer’s failure to perform or observe any of its covenants or obligations hereunder. 12. Tooling. With the exception of tooling produced from ’Kirksite’ material, any tooling, to include but not limited to, patterns, dies, jibs, molds, fixtures, etc., furnished to Seller, or paid for by Buyer, shall remain the property of Buyer and be subject to removal by Buyer upon completion or termination of this order. Such tooling shall not be used to manufacture goods or provide services to any other party. Such tooling shall be maintained and/or stored at the supplier’s facility or storage facility of their selection in such a manner as to guarantee that all proprietary designs and functions will be protected. Seller shall bear the risk of loss of or damage to Buyer owned tooling. Unless Buyer retrieves its tooling or enters into a written storage agreement with Seller, its tooling will be considered abandoned and the tooling will be disposed of after one year of inactivity.Tools produced from ’Kirksite’ material remain the property of Seller. If Buyer desires to purchase ’Kirksite’ tooling after placing an order, the price will be determined by multiplying the weight of the ’Kirksite’ tool by the market price of ’Kirksite’ at that time. 13. Tooling Price Adjustment. If a quotation issued by Seller provides a price for tooling based upon a projected number of prototype parts and/or light manufactured parts, Seller reserves the right, but not the obligation, to adjust the price of the tooling in the event that more than or less than the number of prototype parts and/or light manufactured parts are ultimately ordered by Buyer; Buyer shall promptly tender payment to Seller for any difference resulting from such price adjustment. 14. Specifications. In the event a discrepancy appears in the documents generated by Buyer and/or Seller, the CAD specifications shall take precedence over general tolerances. 15. Cancellation Fees/Charges. In the event Buyer cancels its order placed with Seller prior to completion, Buyer shall promptly tender payment to Seller for all work in progress, materials purchased by Seller as well as a surcharge and administrative fee equal to ten (10%) percent of the remaining balance due and owing Seller at the time of cancellation. 16. Nondisclosure of Seller’s Confidential Information. Buyer understands and acknowledges that, as a result of its relationship with Seller, Buyer, its officers, directors, employees, agents and all those acting in concert with Buyer may necessarily become informed of, and have access to, confidential information of Seller, including, without limitation, its computer programs and software, processes, trade secrets, technical information, know-how, plans, specifications, cost of sales, and that such information is the exclusive property of Seller to be held by Buyer in trust and solely for Seller’s benefit. Accordingly, Buyer hereby agrees to not, at any time, either during or subsequent to its relationship with Seller use, copy, reveal, report, publish, transfer, or otherwise disclose to any person, corporation or other entity any of Seller’s confidential information without the express written consent of Seller. Notwithstanding the foregoing, this provision shall not apply to any information which (i) becomes generally available to the public other than as a result of disclosure by Buyer; (ii) was available on a non-confidential basis before its disclosure to Buyer by Seller or its representatives, or (iii) becomes available to Buyer on a non-confidential basis from a source other than Seller or its representatives provided that such source is not bound a confidentiality agreement with Seller or its representatives. For purposes of this provision, the terms ”Buyer” and ”Seller” shall also mean and include their parents, subsidiaries, joint ventures, and other affiliates. The obligations of this provision shall also apply to proprietary or confidential information of another party that the Buyer receives in the normal course of Buyer’s relationship with Seller. 17. Covenant Not To Solicit. Buyer hereby agrees it shall not in any way, directly or indirectly, (i) solicit, induce, influence, or attempt to solicit, induce, or influence any employee, stockholder, partner, lessor, customer, or supplier of Seller to discontinue or reduce or modify the extent of their relationship with Seller; or (ii) otherwise divert or attempt to divert from Seller any business whatsoever or interfere with any business relationship between Seller and any other person. If any portion of this non-solicitation covenant is deemed not to be enforceable by a court of competent of jurisdiction because it is deemed overly broad, this non-solicitation covenant shall not be void but shall be modified to its terms and conditions to make this covenant enforceable. 18. Hold Harmless. Buyer shall be responsible for and hold Seller harmless from and against all losses, costs, claims, causes of action, damages, liabilities and expenses, including attorney fees, all expenses of litigation and/or settlement, and court costs, arising from any act or omission of Buyer, its officers, employees, agents, suppliers or subcontractors in the performance of any of its obligations under this document. 19. Release of Information. Except as required by law, no release of information, or confirmation or denial of the same, with respect to this document or the subject matter hereof, shall be made by Buyer or its subcontractors without the express prior written approval of Seller. 20. Survivability. If the subject matter of this document expires, is completed, or is terminated, Buyer shall not be relieved of its obligations set forth in this document. 21. No Waiver, Approvals and Remedies. No waiver of any breach of any provision of this agreement will constitute a waiver of any other breach or a waiver of such provision. Seller’s approval of documents shall not relieve Buyer of its obligation to comply with the requirements of this document. The rights and remedies of Seller are cumulative and in addition to any other rights and remedies provided by law or in equity. 22. Headings. The headings used in this document are inserted for the convenience of the parties and shall not define, limit, or describe the scope or the intent of the provisions of this document. 23. Integration. If any provision of this agreement is held to be unenforceable, it will be adjusted, if possible, in order to achieve the intent of the parties. However, in no event will it invalidate any other provision(s) of this agreement, all of which will remain in full force and effect. 24. Governing Law. This contract shall be construed according to the laws of the State of Michigan as if fully performed thereunder. 25. Venue in the Event of a Dispute. In the event of a dispute, litigation shall be commenced in either the 41-A (Shelby Township, Michigan Division) District Court or the Macomb County (Michigan) Circuit Court. 26. Notices. Any notice required to be given or made to a party under this agreement must be in writing and delivered in person or sent by certified, U.S. first class mail, return receipt requested, to the address of each party appearing on this document. Addresses for giving notice may be changed by giving notice of the new address. 27. Amendment. No waiver, modification, or amendment of the terms of this document shall be effective unless made in writing and signed by one of the Managing Members of Seller. 28. Entire Agreement. This agreement, together with the attachments, exhibits, or supplements, specifically referenced in this order constitutes the entire agreement between Seller and Buyer with respect to the matter contained herein and supersedes all prior oral or written representations and agreements. This document may only be modified by a revision in writing and signed by both parties.